There are 50 reviews of Curious. I cold-bought Curious by Britney Spears because it was the first fragrance with a significant cyclamen note that I could find and afford. 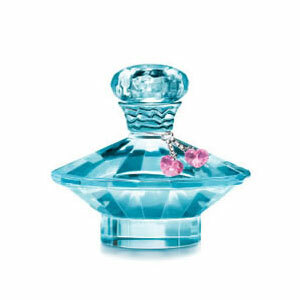 When I received it, I was pleasantly surprised by the cute aqua jewel-shaped bottle and I loved the scent! I'm not sure I can pick out the cyclamen, but it has the timbre of cyclamen that I like (dusty, icy, aloof, introverted). It's sophisticated, intense and distinctive, but not too sweet. Other reviews are correct that it has no longevity or sillage, so it's also safe for not bothering anyone. Pretty much I would use this to experience a unique scent for a few minutes off and on throughout the day. It might not have the usual perfumey smell that people who don't like perfume complain about. The top notes say pear and magnolia, but (especially if you want to know what this smells like) to me this smells like the essential oil davana. I happen to really like davana and this is cheaper than the essential oil. So this is an interesting scent, more like an essential oil in its non-perfumey character, short sillage and longevity. The fragrance itself was beautiful. I did quite like this as a young freshman at University. I made me feel happy, vibrant, hopeful, playful and femme! It lacks elegance but i don't feel it was ever intended to be so. Sweet florals as top notes is what i can recall. The reason why i give it a thumbs down is because of the overall quality. This was a very big disappointment for me. I had the atomiser version of the perfume because i loved how the creators of the bottle design blended modern with a hint of vintage. The atomiser failed to function only after a couple of weeks. We thought if we bought the version without the atomiser and just a normal spray, would take care of the problem. Within months of our new purchase, the perfume colour turned into a dark off urine yellow and there were crystalised formations in the centre of the liquid. To top it off, it no longer smelt as it had when we bought it a couple of months back. Very sad indeed. The bottle design i did love. Very cute, chic and femme. Great addition to any girly dresser. And the atomiser was a big selling point for me. I think the fragrance itself appeals to a young girly audience. This fragrance's lively notes include Louisiana magnolia, golden anjou pear, lotus flower, tuberose, star jasmine, pink cyclamen, vanilla infused musk, sandalwood and blonde woods. This is the first Britney fragrance I bought. 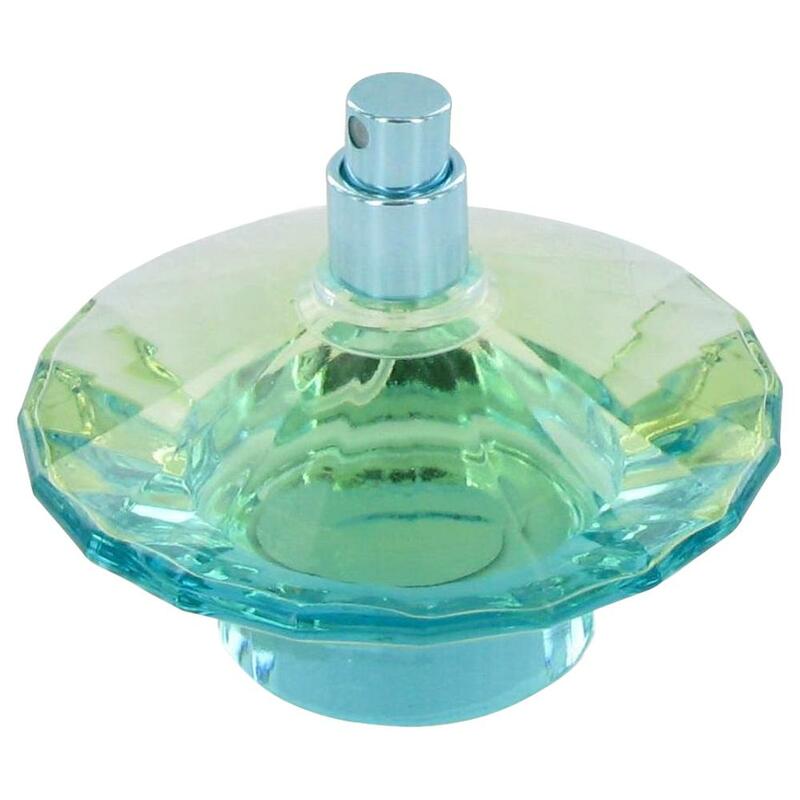 I remember craving this fragrance when it first came out. I would always spray this on me whenever I passed the fragrance counter at my local department store. I was so young at the time, it would be at least another 4 years before I actually owned Curious. When I finally owned a bottle of this, I rarely used it. I wanted to wear stronger and louder fragrances and Curious just seemed too light at the time. It wasn't until my perfume collection started spiralling out of control that I came back to this scent. In the warmer months Curious really blossomed. The fragrance was light, flowery yet musky. On the skin it was so soft, delicate and feminine. Curious is what I'd call a soft and pretty floral scent. In the opening you can smell the pear blending with the jasmine, tuberose and magnolia which has been really well done. This fragrance started my love for white florals and tuberose based scents. The drydown is quite musky yet the vanilla adds a slight sweetness which rounds off the scent nicely. I'm not ashamed to say that I wore this fragrance during this year's Summer, every day until every single drop was gone. The scent just left me so refreshed and clean-feeling. The lasting power unfortunately wasn't great, (possibly the reason why I haven't repurchased this fragrance). However, if I received this fragrance as a gift I would not complain. Overall, Curious is a distinctive fragrance best suited to young girls searching for something light, flirtatious and pretty. It smells like a baby version of White Diamonds Perfume for Women by Elizabeth Taylor. I absolutely hate White diamonds. I associate that scent with old women. I've worn it a few times and everyone seems to like this scent on me. They say I smell really nice. Some one even said that I smelled like a department store, but in a good way. The dry down which takes hours and hours to get to smells pretty good. Its just not worth it to wait for the dry down. It does have good sillage and longevity which could be good if you like it. Typical floral opening, with a slightly sweet heart and a squeaky clean musky base. The musky drydown lingers for a good part of the day. A little too clean and transparent for my likes. White floral? It started off with a very sweet, almost candy-like floral swirl. The sweetness overpowered the floral, and I couldn't make out any distinct notes. Thankfully the magnolia appeared soon, and that part was a bit pleasant. I too was stubborn about trying a celebrity's fragrance. I tried this because I love Fantasy, but I won't try any other celebrity line. Now I do like my fragrances sweet (including floral ones) and of the gourmand variety, but Curious was a mishmash, with the sweet factor always in the forefront. I didn't find it at all fresh. The sillage and longevity were strong, but this isn't a keeper. It just wasn't pleasant. Compare to CURIOUS by Britney Spears - " CAUTIOUS " for women 2.5 fl. oz. Does Britney Spears' Curious still turn rancid quickly?